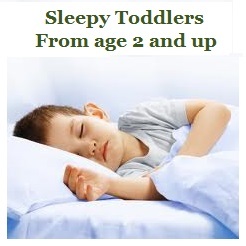 The Sleepy Toddler to Preschool Program works best for children between the age of 2 and 4 that are already in a bed. This program will teach parents how to encourage better sleep skills which will help extend nap times, decrease sleep resistance, decrease lengthy frustrating wakes through the night and make sleep time a more positive experience for everyone. Children will learn the skills they need to fall asleep at nap and bedtimes but also to go back to sleep in the middle of naps and overnight when they wake from common and normal sleep cycles. More importantly, parents will learn how to deal with these various situations. This program uses reward systems and behavior modification to achieve success! Please note that all Toddler Sleep Packages are done independently through Ishtar from Parent Easy and therefore you will be in direct contact with Ishtar in regards to program details, booking and any issues or concerns before or after your consult. The Babeez company is a separate entity and takes no responsibility or liability for anything that may transpire. For more information or to book your consult, please fill in the form below and a consult will reply as soon as possible. The information in this page is confidential and may be legally privileged. It is intended solely for the addressee in which the link was sent to access this page. Access to this page by anyone else is unauthorized. Any disclosure, copying, distribution or any action taken or omitted to be taken in reliance on it is prohibited and may be unlawful.